I have come to realize that Halloween means different things for different people. 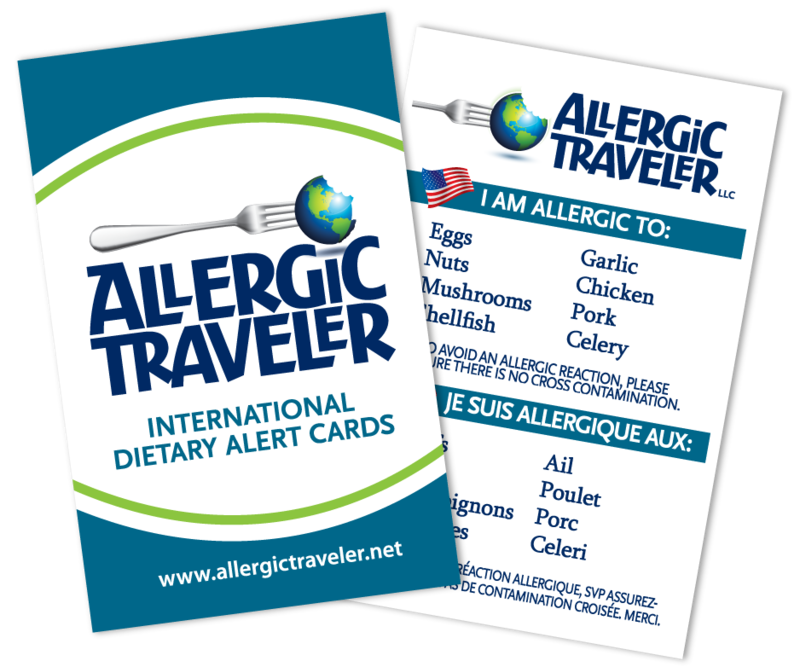 For this Allergic Traveler, it’s essence is the same but there are some evident changes that have occurred over the years. 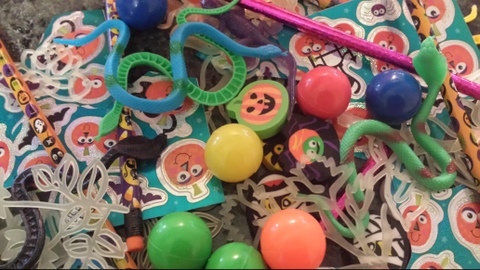 Halloween is not the same today as it was when I was a kid! 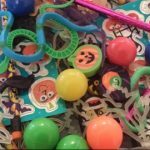 Halloween is a great time of year whether you have food allergies or not. When we we’re kids, my sister and I used to go out with my mom. She was the one that took us from house to house. We did not really have any different rules on this night. We would go from house to house, like every other kid. A few things that might have been different for us was the fact that my mom made our costumes every year. She would spend hours sewing them late into the night. As a child I don’t think I ever truly appreciate all the effort she went to. Mom- I’m sorry! She was quite brilliant though because she made the costumes so big so they would fit over our snowsuits. We looked like the Pillsbury dough boys, yet we were princesses and witches like every other girl. So rule number one was we had to dress appropriately. This makes sense as it was often freezing or below freezing in Canada at this time of year. The second rule we had to abide by was that we could not eat any candies while trick or treating. This rule actually had very little to do with food allergies and had more to do with the crazies in the world at the time. There were cases of people putting razor blades in apples or poisons. For this reason, my parents would inspect everything when we got home. We would get home and simply sort the candies with them. They would take what we were allergic to and then we would be given the rest. Every year I tried to make my candy last until my birthday, which is mid November, and that would never happen! I know a lot of parents fret today about Halloween but for different reasons than my parents did. More and more parents today are concerned with food allergies. I know some parents that will send their kids to only certain homes or make the child wear gloves or take the kids to a haunted house, etc. 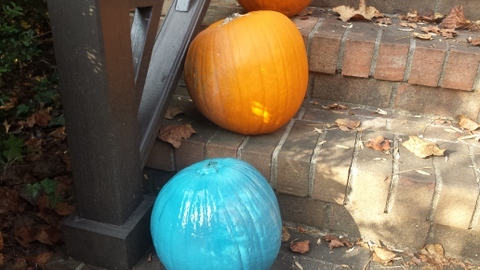 A great tradition that is occurring for the first time this year is the Teal Pumpkin Project. It is special to us! 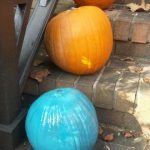 It means that if you see a house with a teal pumpkin, they are giving away safe treats, like stickers, erasers, small toys, and so much more. The initiative was started by FARE. I have to applaud them. I think it is a great way to bring more awareness to our cause but more importantly it is a great way for the kids to have fun without the parents worrying.. as much! Whatever you do, know that these memories that you are creating will stay with your children forever, so make sure they enjoy it!